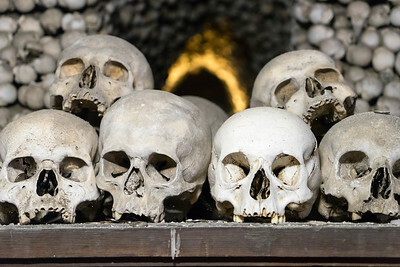 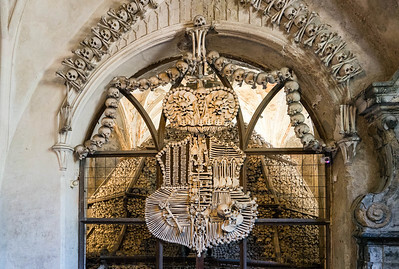 The Schwarzenberg family shield made of bones, Sedlec Ossuary. 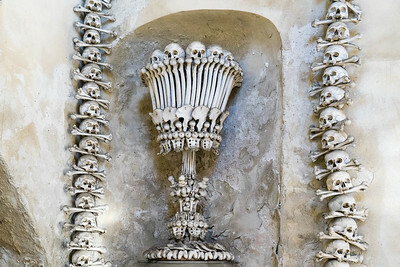 Bones decorations at the Sedlec Ossuary. 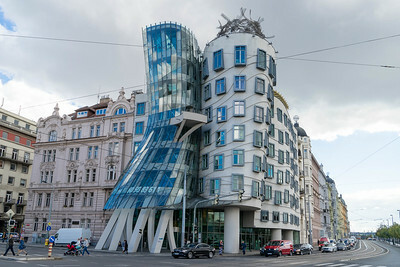 The Dancing House by Frank Gehry, Prague. 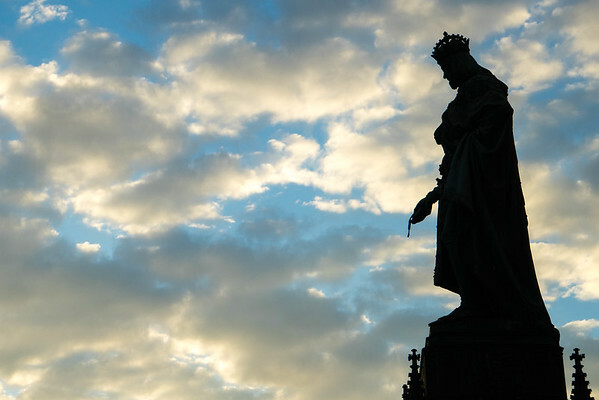 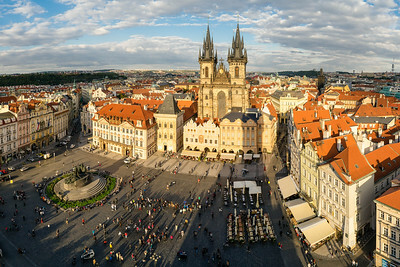 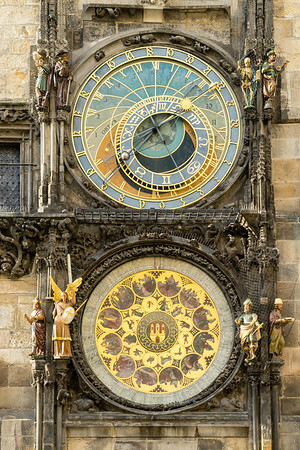 King Charles IV watches over the Charles Bridge in Prague.